As a lead in to two great events NYC ABC has coming up–a workshop on transformative justice and a noise demo in solidarity with #NatTurnerDay and the nationwide prison strike–we are hosting another of our every other week Political Prisoner Letter-Writing Dinners. This week, we will be hosting a Black August card signing. Maybe you’ve been working too many hours a week to even notice the full-blown war being waged against you by cops and the ruling class. It is real and it is continuing. And of course there is another war– the war against folks imprisoned for their political beliefs and actions. And here’s where we bridge the two. We will be sending greeting cards to Black revolutionary political prisoners and there’s an easy (too easy? POSSIBLY!) way for you to help. Just come by, eat some food, sign some cards, maybe meet folks you don’t already know, and show some base level solidarity with those behind bars. Hopefully you’ve been training in preparation for Running Down the Walls 2017. The competition will be fierce, the food at the after party will be delicious, and the solidarity with our imprisoned comrades will be infinite. Please take this opportunity to get more folks to sponsor you as a participant and help build the ABCF warchest and the 5 Borough Anti-Repression Committee. As a lead in to this year’s run, we are hosting another of our every other week Political Prisoner Letter-Writing Dinners. This week, NYC ABC will be hosting a Black August card signing. Hopefully you’ve been training in preparation for Running Down the Walls 2016. The competition will be fierce, the food at the after party will be delicious, and the solidarity with our imprisoned comrades will be infinite. Please take this opportunity to get more folks to sponsor you as a participant and help build the ABCF warchest and the Queer Detainee Empowerment Project. As a lead in to this year’s run, we are hosting another of our every other week Political Prisoner Letter-Writing Dinners. This week, NYC ABC will be hosting a Black August card signing. Hopefully you’ve been training in preparation for Running Down the Walls 2015. The competition will be fierce, the food at the after party will be delicious, and the solidarity with our imprisoned comrades will be infinite. Please take this opportunity to get more folks to sponsor you as a participant and help build the ABCF warchest and help the Family and Friends of Maliki Shakur Latine. As a lead in to this year’s run, we are hosting another of our every other week Political Prisoner Letter-Writing Dinners. This week, NYC ABC will be hosting a Black August card signing. 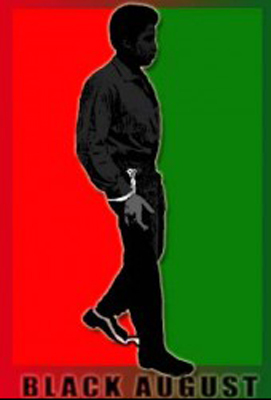 As Black August began in remembrance of fallen Black liberation prisoner, George Jackson, and the San Quentin prison uprising of 1971– a prison uprising that included recently murdered San Quentin Six member Hugo “Yogi Bear” Pinell, we honor Yogi with this dinner. Hopefully you’ve been training in preparation for Running Down the Walls 2013. The competition will be fierce, the food at the after party will be delicious, and the solidarity with our imprisoned comrades will be infinite. Please take this opportunity to get more folks to sponsor you as a participant and help build the ABCF warchest and sustain the local radical space, The Base. As a lead in to this year’s run, we are hosting another of our every other week Political Prisoner Letter-Writing Dinners. This week, NYC ABC will be hosting a Black August card signing. With Running Down the Walls 2013 under a month away, we in NYC ABC have our hands full. 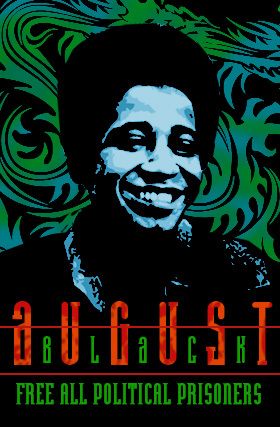 But before we move forward, we give a strong Black August salute to our imprisoned Black liberation comrades. And while the state’s types of repression may have become more refined and better concealed over the decades, they still exist and are still heavily used. NYC ABC responds to the repression of comrades with unflinching support, most commonly with our every-other-week political prisoner letter-writing dinners. This week we are writing to Jason Hammond, the recently-jailed brother of alleged Anonymous and LulzSec hacker Jeremy Hammond. On July 11th, Jason Hammond was arrested and charged with armed violence, aggravated battery and mob action. 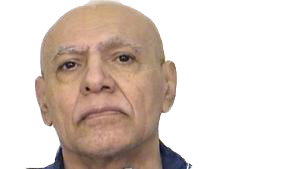 The arrest was made in connection with Hammond’s alleged role in the Tinley Park Five case. Over a year ago, in May, around 20 anti-fascists attacked a meeting of known white supremacists at a restaurant in Tinley Park, Illinois. Jason is charged with participating in the action against white supremacists and neo-Nazis attending the “5th annual White Nationalist Economic Summit and White Nationalist Meet-and-Greet.” Not a particularly catchy name, but then again, look who you’re dealing with. As of now, Jason Hammond’s bail is set at $100,000 with no bond. That means in order to be released before his trial, his supporters have to come up with the entire $100,000. To many folks close to Jason–- family, friends, close comrades, the timing of the arrest is simply too coincidental as his brother, Jeremy, is facing sentencing in mid-November. Jason has been steadfast and tireless in supporting his brother.